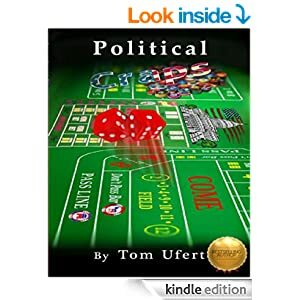 This book is a layman description of why it is vital the masses not stand by the sideline and think that someone else will vote in a honorable hard working leader president, cabinet, house of representatives, and all government personnel in the next election. They should not stay quiet until the s*** hits the fan, then it is too late. Want to read about the behind the scenes, the reasons why we as the people cannot and must not stand by the sidelines anymore. Author Tom Thomas Ufert has a gift to formulate the written word into understandable terms and pleasurable reading. This book should be in the top ten to preview, listen, read, and issue as a summer reading assignment in all families. 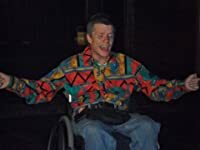 zTom Ufert, a 46-year-old quadriplegic afflicted with three different disabilities is an inspirational voice in our troubled times. He received his bachelor of arts in political science and history as a scholarship recipient from Centenary College of Louisiana. Tom is a former Rotary International graduate Fellow who attended Australian National University in Canberra, ACT, specializing in East Asian political affairs and was a White House Fellow nominee. He is a former Lyndon Baines Johnson Congressional Intern and constituency aid for two former United States members of Congress. His past services for 11 political campaigns on both sides of the aisle were highly valued by former Louisiana Governor Charles "Buddy" Roemer, Henson Moore the former assistant chief of staff to U.S. Vice President George H.W. Bush, and the present U.S. Trade Ambassador, Ron Kirk. At age 23 he was the youngest artistic Board Chairman in the United States as head of the Shreveport Summer Music Festival. Mr. Ufert has served as a member of two other 501(c) three charity boards including his beloved fraternity Phi Mu Alpha Sinfonia as well as the community advisory board for his former rehabilitation hospital. Over the years he has acquired extensive customer service experience in the food and beverage, hotel, insurance, home security, and pharmaceutical industries. Mr. Ufert has served as a member of two other 501(c) three charity boards including his beloved fraternity Phi Mu Alpha Sinfonia as well as the community advisory board for his former rehabilitation hospital. His professional memberships include Phi Alpha Theta, Sigma Tau Delta, and the Worldwide Who's Who. In recent years he has worked tirelessly as a volunteer fundraiser for numerous AIDS charities in his community and served briefly as the community affairs liaison for Legacy Founders Cottage. Tom Ufert, a native of Louisiana, now resides in Texas.